Applying for Social Security Disability Insurance (SSDI) benefits can be a difficult process. But if you have worked in the past and are now unable to continue working because you have become disabled, then applying for SSDI is definitely worth the effort. Here we will provide an overview of SSDI benefits, including what benefits SSDI provides, how long it will take before you will start receiving benefits, how much you could expect to receive, and for how long you could expect to receive it. Ever since you became disabled and unable to work, you’ve heard people (maybe even your doctor) suggest that you apply for SSDI. But do you understand what SSDI actually is, and what it will mean for your life? If not, don’t be embarrassed. The fact is, many people don’t understand SSDI until they need to. And if that is the case with you, then we are here to help. The SSDI program refers to a monthly financial benefit which is intended to offset income that you are losing due to a disability which is preventing you from working (or preventing you from working as much as you used to). Think of it like this: when you work, you pay into social security in preparation for your retirement. But if you become disabled, it is as if you are retiring early; therefore you can collect your benefits early as well. This is known as social security disability insurance (SSDI). How long will it take before I can start to receive benefits? Once you become disabled and your work-life becomes affected, you will want to apply for SSDI as soon as possible. That is because the longest part of the overall process of receiving SSDI is the application approval itself. The application procedures can be difficult, and the steps are too lengthy to discuss in detail here. But if you’re just looking for an overall timeline, we can tell you that each step of the process takes a certain amount of time. So, depending on how many steps your application takes, your application may take a longer or shorter amount of time than average to process. For example, many applicants are denied at the initial application stage. If, however, you are one of those lucky enough to be approved at this first stage, then your application will take an average of 30 to 90 days to process. If you must apply for reconsideration, this step can take around 60 days. And if you do not need to seek reconsideration or if your reconsideration is denied and you must seek a hearing before an administrative law judge, this process can take 12 months or more due to the extreme backlog in the system. This is the timeframe that most SSDI applicants must endure before they begin to receive SSDI benefits. That is why it is best to apply as early as possible. Once you have been approved, you will receive a letter that will detail when your benefits will begin, how much they will be for, and when you can expect to receive payment. Generally, you can expect to wait anywhere from 4-8 weeks for your first check to arrive. As we said earlier, SSDI is like “early retirement” when you’ve suffered a disability which prevents you from working. In the same way, the amount of money you earn during this “retirement” depends on how much you “saved” while you were working. In other words, the longer you worked and the more money you paid in, the higher your SSDI benefit will be. How is my SSDI benefit calculated? Most people receive somewhere between $700 and $1700 per month in SSDI benefits. But this amount is different for each person, up to the maximum. As of 2015, the maximum monthly SSDI benefit is $2663. The Social Security Administration has an online calculator that you can use to calculate your monthly benefit; it is available here. However, you should realize that you exact benefit will rely on the SSA’s records of your earnings, not your belief of what you actually earned. To see your lifetime earnings, you should review your earnings statement from SSA; you can see your most recent statement online at www.ssa.gov/mystatement/. How will my SSDI benefit amount be paid out? SSDI benefits are paid monthly, with a month delay – for example, your benefits for January will be paid in February. Your monthly benefit amount and your payment date will be listed on your approval letter from the SSA. How is my monthly payment date calculated? Your payment date depends upon your birth date. If your birthday is on the 1st – 10th of a month, your SSDI checks will arrive on the second Wednesday of every month. If your birthday is on the 11th – 20th of a month, your SSDI checks will arrive on the third Wednesday of every month. If your birthday is on the 21st – 31st of a month, your SSDI checks will arrive on the fourth Wednesday of every month. Given the length of time that it takes for most people to be approved for SSA, most applicants will be entitled to two types of payments: their standard, ongoing monthly amount, and their back pay for the length of time between when their benefits were set to begin and when they actually receive their payment. Unsurprisingly, this back pay amount varies depending on how long it took for your benefits to be approved and your monthly benefit amount. 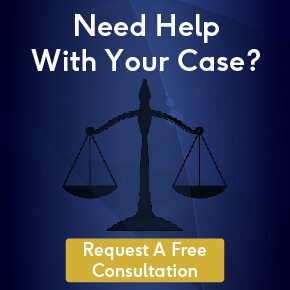 A good Social Security Disability Lawyer will help you establish the most favorable timeline for you claim and help you maximize the amount of back pay you receive. While your monthly amount will be paid, well, monthly, your back pay for SSDI will be issued in a single lump-sum payment, which will make for a great day when it arrives, especially if coupled with retroactive payments (see below). In addition, there is also a third type of payment that some applicants receive, and this is called a retroactive payment. While back pay is what you are owed due to the delay between your application and when your application was actually approved (or, in other words, money owed you due to the SSA’s delay), retroactive payments are for the time during which you may have been disabled prior to your benefit application. While retroactive payments could be the subject of an entire article themselves, the bottom line is that while the SSDI application process is a lengthy one, it will be worth it if/when you are approved and you receive your backpay and retroactive benefits for that lost time. Like back pay, retroactive SSDI payments will be issued in a single lump sum. How long can I expect to receive SSDI benefits? Generally speaking, once you’ve been approved for SSDI and begin receiving payments, those payments can continue until you retire. However, there are a two primary circumstances that can occur after your approval which could lead to a reduction or termination of your SSDI benefits. The first way in which your benefits may be terminated is if you return to work, or if you start to earn too much money (of your disability didn’t prevent you from working but instead just led to a reduction in your ability to earn). The second is if your medical condition improves to the extent that you no longer meet the SSA’s definition of disabled. The SSA determines whether a medical improvement has occurred via a process called a Continuing Disability Review, or a CDR. CDRs generally occur between every 3 years to every 7 years, although, like other aspects of the SSDI process, they are usually subject to backlogs. Upon retirement, your SSDI benefits will not be terminated, but will instead be converted into retirement benefits.